You talk about masochism on the psychology website, but isnt masochism the same as humility? If not, what is the difference? ell, no, masochism is not the same as humility. Lets find out why. Most families are far from perfect. Even Catholic parents who present themselves as devout quite often fail their children in one way or another. Usually these failures are more-or-less normal expressions of human frailty, but they can become expressions of family dysfunction, ranging through alcoholism, infidelity, and outbursts of anger or violence all the way into outright emotional, physical, or sexual abuse of the children. If you look back on your life honestly, then, you will see times when you felt humiliated as a child. You will also see times when you have gotten involved with bad situations. This doesnt mean that you deliberately wanted to suffer; it just indicates that people most often choose what is known over what is unknown. That is, for children who have experienced some form of humiliation or abuse in their families, even though abuse and humiliation are not pleasant they are known and predictable, and in that sense theyre comfortable. And thats masochism in a nutshell: preferring (desiring) humiliation unconsciously because its more comfortable than facing the unknown with true personal responsibility. Technically, this helps to illustrate the distinction between desire (unconscious) and want (conscious). As odd as it sounds, because of hidden unconscious conflicts you can very well desire something you dont even wantsuch as sabotaging yourself. Now, the especially sad thing here is that, because unconscious desires cant be seen directly, most persons will deny that they have them. But, just as an animals presence can be deduced by the evidence of its tracks, so desires can be deduced by the evidence of the behavior they cause. For example, maybe you cant see your secret desire to destroy yourself, but maybe you can see your behaviorsthat is, that you smoke cigarettes, overeat, drink heavily, are prone to arguing, take risks, procrastinate, have difficulty finishing projects, cant read maps, harbor suspicions about others, avoid cleaning or tolerate clutter, etc.that eventually lead to self-destruction. The fact is, unless you resolve this aspect of your unconscious, you will continue to do unpleasant things. The unconscious urge for self-punishment and humiliation will continue to lead you into bad situations, even if consciously you dont want them at all. So what is the deepest motivation for all this unconsciously self-inflicted pain? Its the veiled hope that you can make yourself feel loved. Thats rightits the hope that others, in seeing how much you are willing to suffer abuse, will somehow be made to acknowledge you. Then, in seeing yourself reflected in their eyes, you will have the satisfaction of feeling loved. This hope of feeling loved brings us to the clear difference between humility and masochism. To live in humility is to live always in total confidence of Gods love, protection, and guidance and therefore to have no concern for yourself when others insult youor praise you. Secure in Gods love, you dont have to base your identity on whether or not others acknowledge you. In masochism, on the other hand, you invite others to insult you because, as a psychological defense against the pain of deep emotional wounds, you take unconscious pleasure in being demeaned in the secret hope that you will somehow, someday, earn someones admiration for your willingness to endure painful abuse. Therefore, we can define false humility as pride in your own masochism. Consequently, whereas false humility burdens the soul, genuine humility brings enlightenment to the soul and frees it from all that would obstruct its service to God. Now be on your guard, daughters, against some types of humility given by the devil in which great disquiet is felt about the gravity of our sins. This disturbance can afflict in many ways even to the point of making one give up receiving Communion and practicing private prayer. 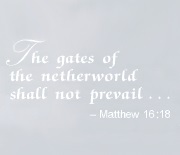 These things are given up because the devil makes one feel unworthy. . . . The situation gets so bad that the soul thinks God has abandoned it because of what it is; it almost doubts His mercy. . . .
Humility does not disturb or disquiet or agitate, however great it may be; it comes with peace, delight, and calm. . . . The pain of genuine humility doesnt agitate or afflict the soul; rather, this humility expands it and enables it to serve God more. Humility, therefore, is actually a sign of great courage and deep spiritual understanding. In humility there is no fear. In humility there is no timidity. In humility there is only confidenceconfidence, not in the self, but in Gods loving protection. And all of you, clothe yourselves with humility in your dealings with one another, for: God opposes the proud but bestows favor on the humble. So humble yourselves under the mighty hand of God, that he may exalt you in due time. Cast all your worries upon him because he cares for you. Lets begin by noting that, even though a life of humility depends on emotional honesty, the psychological task of attaining humility is not about feeling emotions fully but in (a) feeling all the emotions connected to a particular event; (b) recognizing the thoughts associated with any particular emotion; and (c) discovering the crippling effects those emotions/thoughts have had on your life. In working through this process, you will come to understand how various events of your life have led you to develop various defense mechanisms; furthermore, you will learn that various talents and hopes within you have gone unfulfilled and that now, in true humility, you can make serious changes to your life by developing new behaviors. Lets see, then, how the psychological process necessary to attain a state of humility consists of four steps of emotional honesty. First, it will be important to learn not only that you have emotions but also how to recognize and name them. Some emotions are pleasantsuch as feeling confident, soothed, peaceful, relaxed, joyful, etc. Some emotions are unpleasantsuch as feeling unwanted, unnoticed, rejected, ugly, abandoned, misunderstood, powerless, stupid, etc. Be careful not to deliberately indulge in sensory pleasures just to feel pleasant emotions. Your task is to feel all emotions, including the unpleasant ones. Learning to recognize your emotions can take some hard work, so make the task into a form of prayerful contemplation. Reserve moments of reflection to ask yourself what you are really feeling in the moment and what you have been feeling recently. Use a list of common emotions as an aid. Keep in mind, however, that many persons confuse beliefs with emotions. I felt pleased with the interview. This is a genuine emotional statement. Im already very annoyed that you will probably be late for our appointment. When you are late I feel devalued as a person. This is a genuine emotional statement. Second, it will be important to learn that you have been using some very clever unconscious psychological defenses to push out of awareness all the unpleasant and frightening emotions which hurt you as a child. Learning to recognize your psychological defenses can take as much hard work as recognizing your emotions in the first place, so make the task into a form of prayerful scrutiny. Take the time to remember things that happened to you as a child; ask yourself what emotions you must have been feeling at that time; and reflect on what defenses you used at that time to protect yourself from unpleasant emotions. Use a list of psychological defenses as an aid. Below are examples of a few commonly-used defenses. As one way to block out unpleasant and frightening emotions, many children block out any awareness of the situations that cause these emotions. Hence they can lose situational awareness and bodily awareness in the process. Maybe they always bump into things and have accidents. Maybe they cannot perceive the emotional cues given off by others, and so they will lack empathy. Maybe they cannot perceive the beauty of nature, and so they will lack wonder. Maybe they will develop eating disorders, such as anorexia or obesity. If body awareness is a problem, practice a psychological technique called autogenics as an aid. As another way to block out unpleasant and frightening emotions, many children defend themselves simply by dampening all their emotional reactions, dwelling in the realm of intellect and reason. For example, children of alcoholic parents more often than not grow up in an environment of lying, broken promises, arguing, and violence. To cope with such emotional volatility and chaos, some children learn to run away and hide. They fear emotions as something dangerous. And, because the dysfunctional family system cheats them of the ability to deal honestly with emotions, the children spend their lives avoiding emotions, knowing that if they ever encountered a strong emotion, they wouldnt know what to do with it. Another common way to block out unpleasant and frightening emotions, especially emotions of helplessness, is with anger, allowing free reign to impulses of hatred and revenge. When you get angry you dont really allow yourself to feel your inner vulnerability and hurt. All you can think about in the moment is your desire to get revenge, to defend your pride, to do somethinganythingto create the feeling that you have power and importance. In essence, your outbursts of rage paradoxically hide your inner feelings of vulnerability, so you never recognize the hurt youre feeling that triggers your hostile reaction. All the bitterness and hostility is a big puff of smoke, an emotional fraud. It hardens your heart toward others so that you can seal off your own emotional pain. Having learned to recognize emotions and your defenses against them, your next task will be to learn that the past essentially continues to live psychologically in the present; that is, when you experience emotional stimulation in the present you will be unconsciously pushed into responding to these emotions according to your psychological defenses that were created in childhood. Through your psychological and spiritual scrutiny, then, you will come to understand that all the unpleasant and frightening emotions which you have been pushing out of awareness all your life have been secret causes for all the problems and conflicts you have been experiencing all your life. Just as a child who does not understand the concept of dirt and disease will resist taking a bath, persons who do not believe they are governed by unconscious defenses will resist spiritual purification. When confronted by personal trialssuch as a difficult marriage, or an illnessthey will tend to seek a way to get rid of the problem. And what a wasted opportunity! If only they would look inside themselves with deep scrutiny so as to recognize and then remedy the unconscious conflicts keeping the problem alive, they could see that the trial is Gods way of calling them to overcome old weaknesses and develop new virtues. Therefore, endeavor to examine your life very carefully so as to make a conscious, enlightened connection between your suppressed emotions and your current behavioral problems. (If you look carefully, you will find fantasies of grandiosity, revenge, and sexuality frequently running through your mind, and these fantasies can prod you into acting in ways that are, well, unbecoming to Christian conduct.) This scrutiny will show you how your life, up to now, has been largely controlled by the unconscious repetition of old emotional conflicts. Having mastered the previous steps so that you can easily recognize how the past essentially continues to live in the present, it will be important to make a conscious effort to resist the temptation to fall into old defensive patterns, and to train yourself to act with new and different behaviors. Sorrow. Feel the sorrow of how much both you and others are damaged when you continue acting according to your old patterns of behavior. Resolve. Declare to yourself and to God that you will do anything it takes to change your behavior. Prayer. Pray for the courage and strength to change, and to not punish yourself when you falter, but to keep learning from your mistakes and trying to overcome your old patterns of behavior. Notice carefully: this is hard work. It requires trust in divine guidance along with the personal self-discipline to not waver in confidence as the Holy Spirit directs you along the way of perfection. No matter what happens, commit yourself to believing the process will work. Accept everything that happens as a God-given opportunity to learn new behaviors and grow in wisdom. Never reject an opportunity to learn. Many such opportunities come as troubles and tribulations that can feel overwhelming, but, if you endure them gracefully, you will emerge from them more strong in faith and more pure of heart than when you began. Dont fear making mistakes and dont punish yourself when you do make a mistake. God can forgive anything if only you have the desire in your heart to remedy mistakes and learn from them. How many persons say Jesus, I trust in You! as a rote part of their prayers? And how many of these same persons fly into a panic when some difficulty or trial afflicts them? Immediately, they want to get satisfaction, get back at the person who hurt them, or just get anything in compensation. In so doing they completely forget what Christianity is all about: taking up your cross in imitation of Christ. So its essential that you train yourself to make a disciplined, conscious decision in the moment to understand and resist transient defensive fantasies and instead to bear pain and suffering gracefully, in imitation of Christ, with mercy and forgiveness. 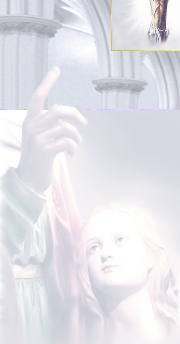 In every moment of difficulty you will, like a frightened child, think first of protecting your pride, but you must now, with a deliberate act of will, set aside that pride, realizing that if Christ could bear all insults in complete obedience to the Fathers will, then you, too, because of your baptismal vows, have a responsibility to live by that same obedience. The danger for such persons is that, on suffering an insult, they might say to themselves, OK. Keep your mouth shut and just take it. But that approach to insult only leads to humiliation rather than humility. For a true act of humility to occur, it is necessary to perform it with full psychological and spiritual awareness, carrying out the act with confidence in divine grace and deliberately making the act an offering for the salvation of the offending person. For the sake of not leading others into their own temptation to deeper pride or anger than caused the offense in the first place, do not argue with or compete with them, but instead pray for their eventual enlightenment and conversion. Thus, in following this approach to humility, your pride and illusions-of-self will decrease, and your self-esteem will increase, because you will be carrying out your acts of humility deliberately for love of God and for the sake of others. Moreover, others will increase because, rather than provoking them into conflict, you will be witnessing true love and assisting their conversion with your prayers. Note carefully that unless you work through all the four steps of humilityeither in psychotherapy or through prayer and spiritual purgationit will be nearly impossible to live a genuinely humble life. You cannot surrender your pain and sufferingand your pridecompletely to God if you persist in clinging, deep in your heart, to psychological defense mechanisms that shield you from that very pain. How can you say that you trust in God if youre always protecting yourself with your own wits? In the past, particularly as a child, blame, resentment, and anger may have served to ensure your survival by masking your hurt and vulnerability, but in reality these things are totally opposed to Christian love. A HERMIT had a gift from God to cast out evil spirits. One time he asked to learn what they feared most and what compelled them to flee. Perhaps it is fasting? he asked one of them. I implore you to confess what it is that can subdue you, insisted the elder. 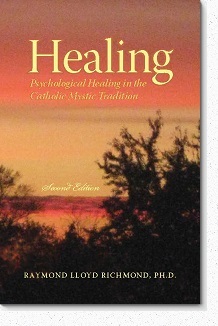 A treasure of a resource for psychological and spiritual healing. Information gathered from my websites (including this webpage) is now available at your fingertips in book form. Healing by Raymond Lloyd Richmond, Ph.D. explains how psychological defenses help to protect us from emotional injury. But if you cling to the defense mechanisms that were created in your childhood and carry them on into adulthood—as most everyone does unconsciously— your quest for spiritual healing will be thwarted by overwhelming resentments and conflicts. Still, God has been trying to show you that there is more to life than resentment and conflict, something so beautiful and desirable that only one thing can resist its pull: hate So now, and in every moment until you die, you will have a profound choice between your enslavement to old defenses and the beauty of God. That decision has to come from you. You will go where you desire.